The world’s largest company knew what was going on for a long time. Satirical image created by azrainman. It should surprise no one that ExxonMobil, the world’s largest oil company, does a lot of science. Many scientists will tell you that Exxon and other oil companies do some of the best geology studies out there — and that makes a lot of sense. With billions in profit every year and a direct interest in understanding both local and planetary processes, Exxon’s research and development is booming. So one can only wonder then, why hasn’t Exxon addressed climate change earlier? 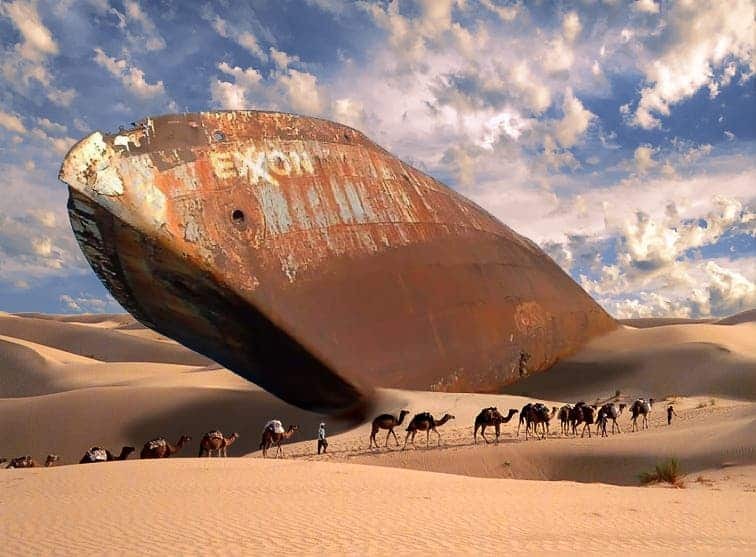 It’s virtually impossible to study earth science and fossil fuels for so long and not come across anything, yet Exxon has refuted climate change for many years, saying that it’s not happening and investing millions and millions into denying it. Well, more and more evidence is lining up that Exxon did know about climate change, they just lied. “[O]n the question of whether ExxonMobil misled non-scientific audiences about climate science, our analysis supports the conclusion that it did,” a team from Harvard University writes in the study. Several pieces of evidence have emerged, all indicating that Exxon purposefully kept climate change science under the lid. It all peaked in 2015 when an email from inside the company revealed that Exxon had data pertaining to climate change as early as 1981 – seven years before it became a public issue. Exxon replied, saying that the emails were cherry-picked and taken out of context. Their findings are crystal clear: while privately, the company acknowledged climate change and understood the science behind it, publicly, it spent a lot of resources sowing the seeds of doubt and trying to convince the public that global warming is still an uncertain deal. The company opted for the cynical decision: convince people fossil fuels don’t do anything bad or risk losing face and business. “Our findings are clear: Exxon Mobil misled the public about the state of climate science and its implications. Available documents show a systematic, quantifiable discrepancy between what Exxon Mobil’s scientists and executives discussed about climate change in private and in academic circles, and what it presented to the general public,” the authors add. 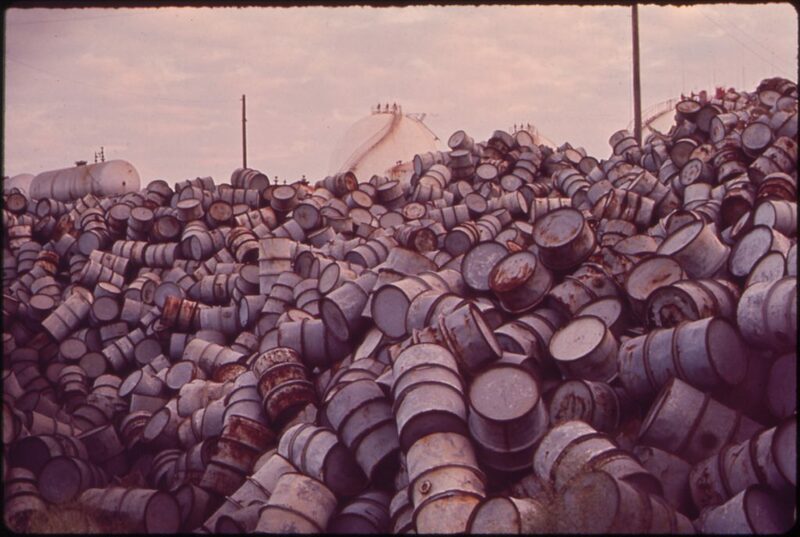 A mountain of damaged oil drums near an Exxon refinery. Image credits: EPA. The good news is that Exxon’s climate scientists did a great job. They figured out what was going on before many others did. The bad thing is that overall, they kept quiet. While behind the scenes, Exxon was making a contribution to climate science, on the global stage, the company was very loud to deny the same science it was doing. Some 80% of their academic and internal papers suggested that climate change was real, but 81% of their advertorials claimed the opposite. In some cases, they included blatant factual misrepresentation, presenting data in a “very misleading” way, according to the independent researcher who produced that data, Lloyd Keigwin, a senior scientist in geology and geophysics at the Woods Hole Oceanographic Institution. Things haven’t changed that much in recent years. Exxon has reluctantly come out and accepted climate change as a scientific reality but they still put their money behind denial lobby. Exxon and friends spent US$114 million in 2015 alone to manipulate lawmakers and public discourse on climate change. They routinely give millions to deniers and lobbyists, pushing a firm agenda hidden beneath eco-friendly claims. It’s unclear what consequences, if any, this will have. New York and Massachusetts attorneys general are currently investigating Exxon, and the federal Securities and Exchange Commission started a probe of its own last fall. It’s hard to say what these investigations will come to, but it’s encouraging that we are asking these questions at all. It’s also worth noting that it was reporting by science journalists (especially from Inside Climate News and The Los Angeles Times) that brought a lot of this impetus. Now, pressure is also mounting from scientists and civil society. Exxon even lost a bit of stock following the publishing of this study, but at the end of the day, it might not make much of a difference. This is a company which reaped tens of billions of dollars in profit year after year, a company which continues to invest heavily in promoting climate change denial and continues to fight the bad fight. When it comes to climate, misleading and manipulating are ‘business as usual’ for Exxon and that’s very bad news for the planet. Journal Reference: Geoffrey Supran and Naomi Oreskes — Assessing ExxonMobil’s climate change communications (1977–2014).